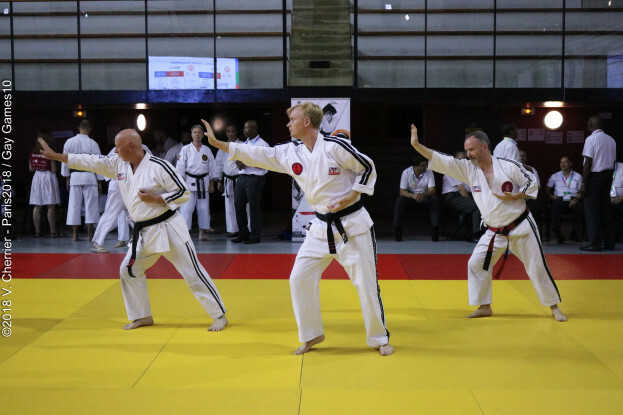 A week of martial arts events will be offered to all participants, whatever their level, with an opportunity to meet their peers from all over the world through competitions and workshops. 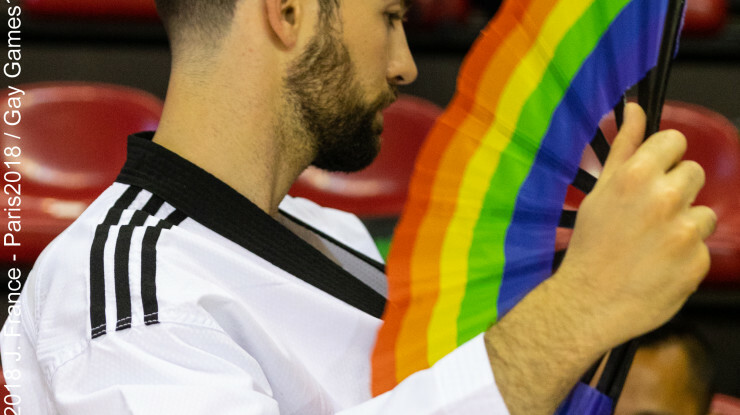 The Gay Games 10 Martial arts events are open to all styles of traditional martial arts (Karate, Taekwondo, Ninjutsu, Wushu, Kung Fu, Jujitsu, Taï chi, Viet vo dao, etc. 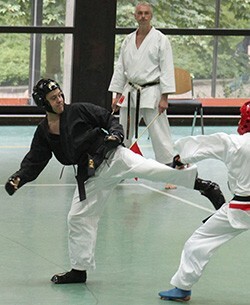 ), and competitors from different styles are judged in common. « Forms» (kata, hyung, etc.) : individual and team (3 persons) empty hand Forms. Musical Forms (black belt only, empty hand). Individual weapon Forms. Two person’s sets: empty hand/or weapons, demonstrating flowing attacks and defense techniques.Free sparring (kumite). Point scoring system and organized by pools. 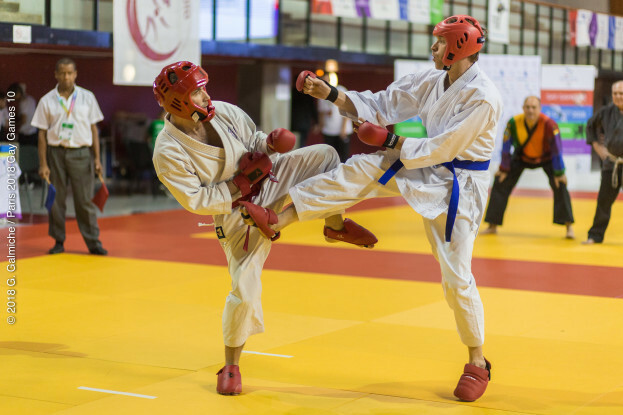 Self-defense: each competitor will demonstrate their styles’ defense to set attacks. Set attacks are accessible below (see Rules). 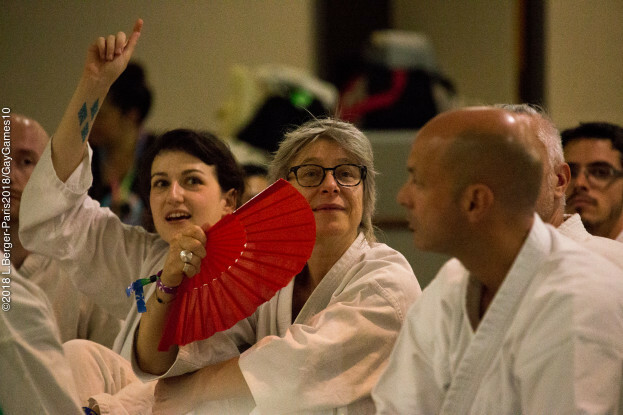 In addition to the Martial Arts competitions, several Martial Arts seminars (workshops) for all styles will be open to all to enable participants to learn new skills and train with different styles. 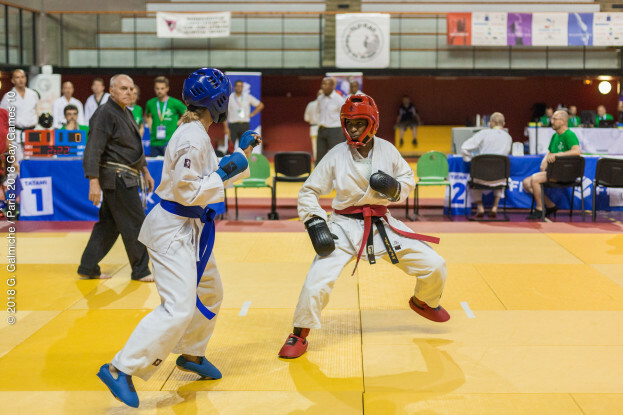 Martial Arts competitions are open to all skill levels, from beginners to the more experienced. 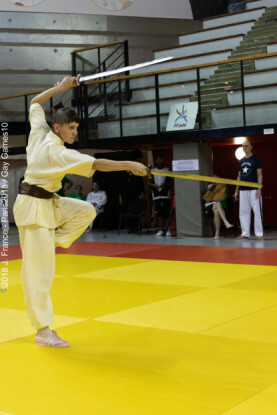 Each event is divided into divisions with martial artists of a similar level. It enables all participants to have the best chance to demonstrate their skills. Events are also open to persons with special needs. Specific divisions can be proposed. 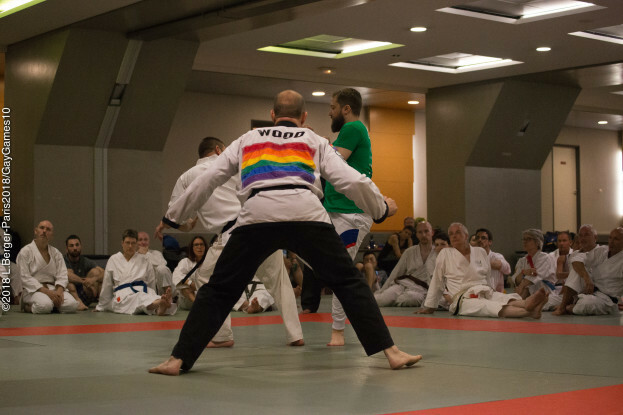 All Martial Arts events will be organized at the Judo Institute by NIJI-KAN KARATE DO, with support of the International Association of Gay and Lesbian Martial Artists (IAGLMA) and the French Federation of Judo (FFJ). 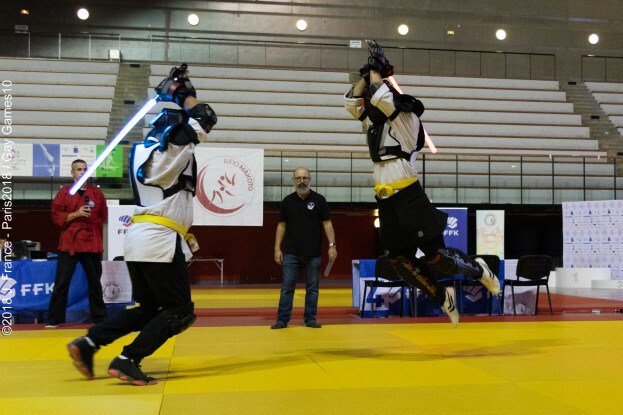 213 participants are registered for the multi-style martial arts competitions and workshops. 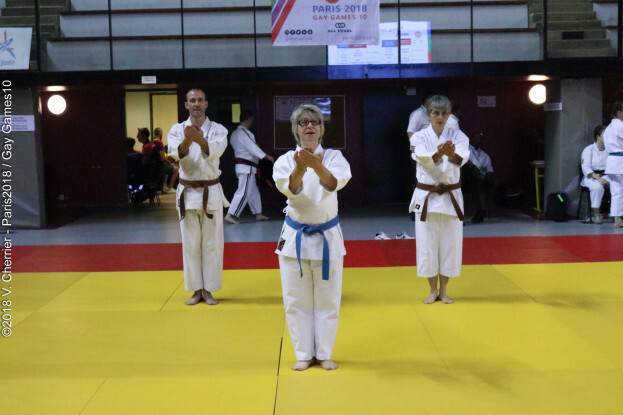 At the same venue and within the same registration pack Judo (tachi waza and ne waza), multi-style kickboxing and boxing competitions will be organized respectively by Makoto Judo association and Paname Boxing Club association. 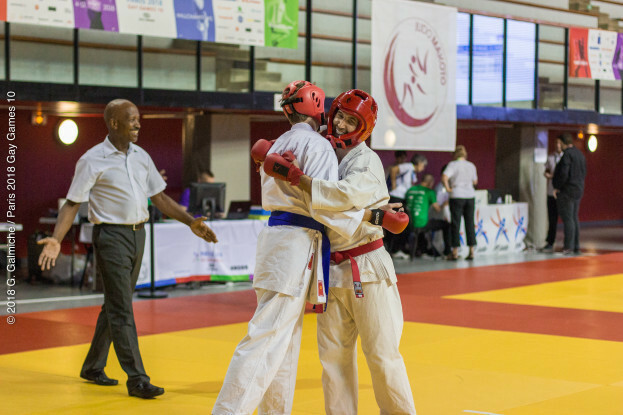 The Judo Institute will also host the wrestling and grappling competitions organized by Paris Lutte and the WWB. 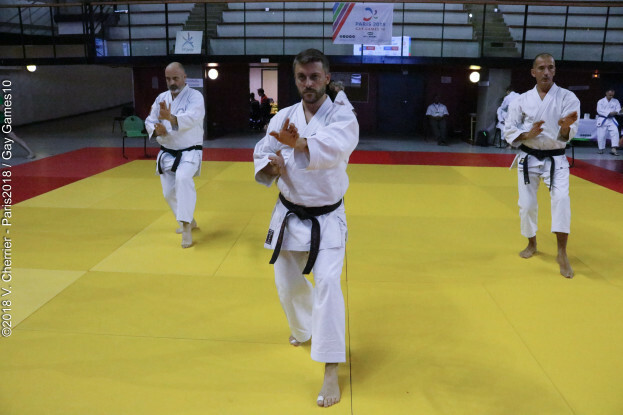 Overall, 300 hundred participants are expected at the Institut du Judo during the martial arts week. 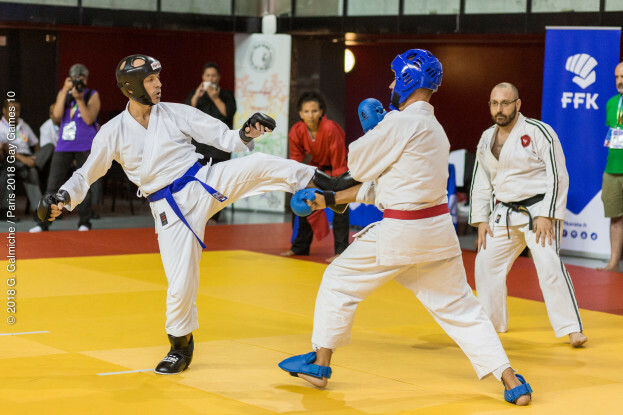 The « Martial Arts » package includes registration for the multi-style martial arts competitions and events and the Judo and Boxing competitions and events. 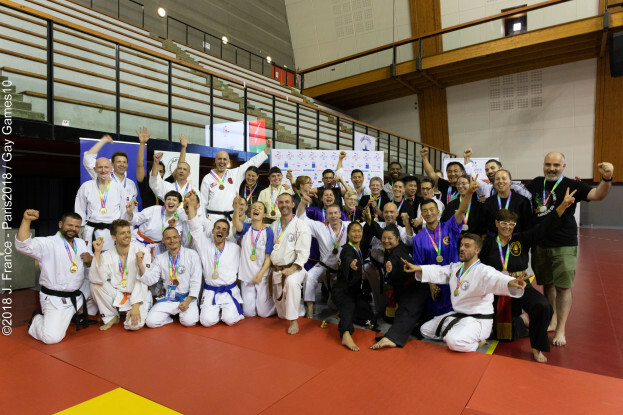 The Gay Games 10 Combat Sports Team of Niji-Kan Karaté do, Makoto judo Paname Boxing Club and Paris Lutte are expecting you at Gay Games 10 in Paris! Register now on the Facebook event dedicated to Martial Arts and follow the preparation of trials. The first three places of each division received gold, silver or bronze medal. For the teams events, each player of the first 3 teams received gold, silver or bronze medal. For self-defence, only competitors applying self-defence techniques weare valued and could get a medal. In this event, the ” attackers ” partners were not considered as competitors. Spectators are welcome and invited to watch and support their favorite teams and friends ! 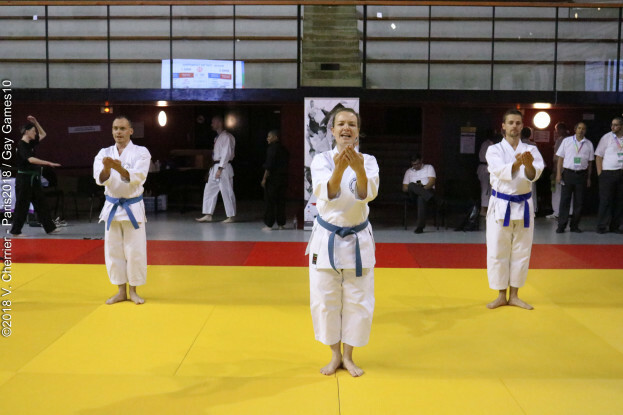 Admission is free and the stands of the Judo Institute can accommodate up to 1,500 people. 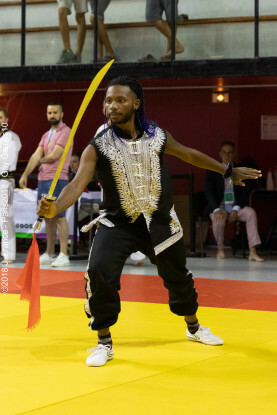 In order to allow different styles of Martial Arts in the same events, the applicable rules will be those created by IAGLMA, not the respective rules of each style of Martial Arts. 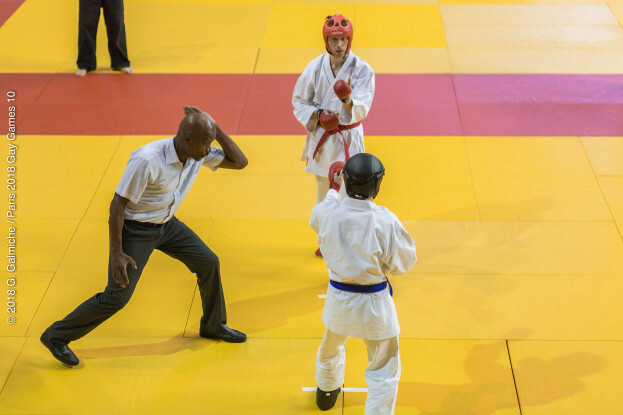 Those specific rules insure strict fairness and uniformity in the methods of judging, whatever the style of Martial Arts, and increase the safety of all participants. To avoid any surprises during the events, please read the rules, in French or English. 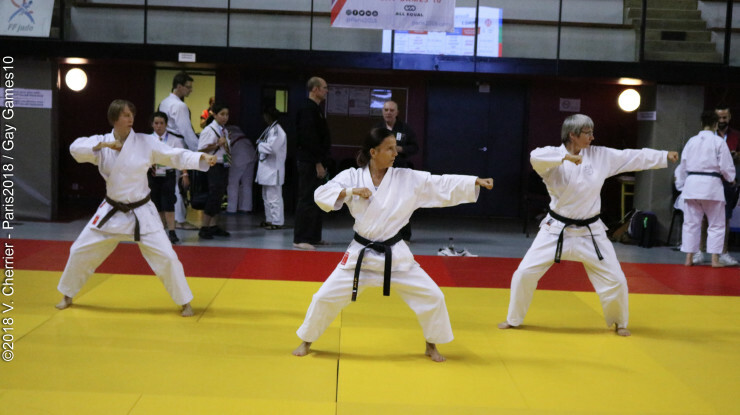 For each competition, divisions will be offered by gender, skill level, age or/and weight, to enable all participants to have the best change to demonstrate their skills. 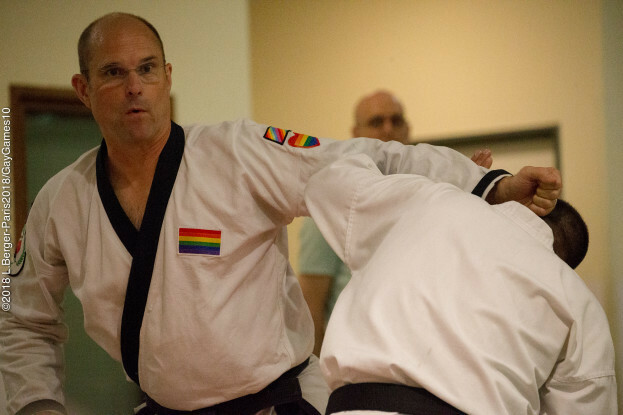 35 years and over: For Black Belts in the following martial arts events: Empty Hand Forms (katas) Weapons Forms, Sparring (kumite). Depending on the number of participants, new divisions may be created in other levels of practice. The reference age for the divisions is a landmark but may change depending on the interests of competition and competitors. Men: Fly weight ( 56,8kg / 125lbs and under) , light weight (68,6kg / 151lbs and under), middle weight (78.6kg / 173lbs and under) , Heavy weight (78.7kg / 173.1lbs and more). Women: Fly weight (55kg / 121lbss and under), light weight (60kg / 132lbs or under), middle weight (65kg / 143lbs and under), heavy weight (65.1kg / 143.1lbs and more). Unless otherwise requested, there is no weight categories for people with special physical needs.